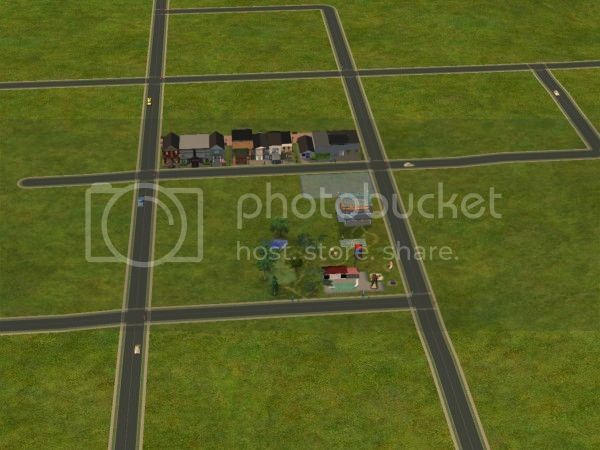 So waaaay back when, I still thought that Free Time and Apartment Life would be ported over to Mac-land, and I designed a set of community lots accordingly. 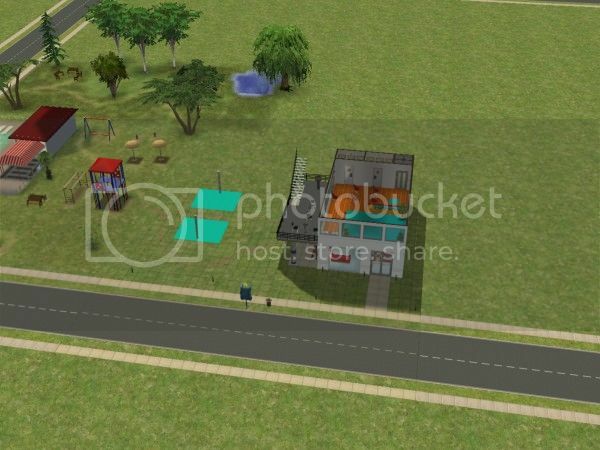 After a while, I came to accept that it was never going to happen, downloaded a bunch of cc to replace what I couldn't have, and revised the lots. Some of that cc borked my game enough that I'd rather not bring over the revised lots. But guess who has two thumbs and .package files of the lots from 2010 (aka "before the borking cc was downloaded")? This gal! And my careful designing paid off -- in spades! Six pictures below the cut. The neighborhood with the 2010 lots placed. Notice how nicely they fit together. The "pool n playground" lot as designed in 2010. 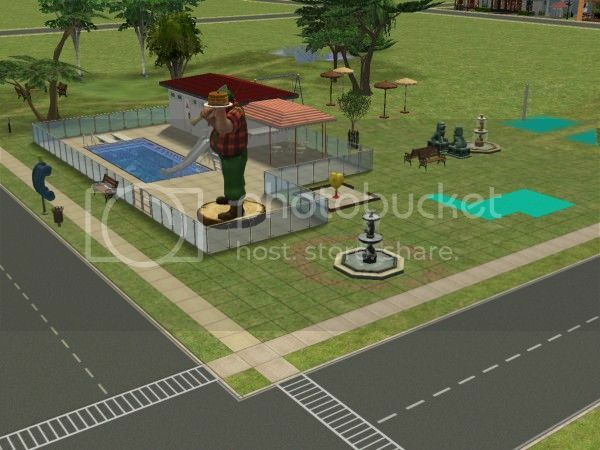 The statues, fountains, and bright blue carpet are placeholders for future EP stuff with the same footprint. After swapping out the new AL playground equipment. 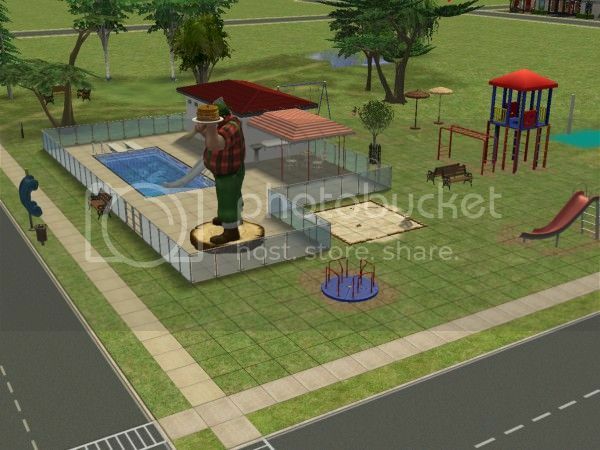 The lumberjack statue is still holding the place of a sprinkler, and the two beach umbrellas are holding the place of two twirl-spin-and-wobble toys. Both are crafted, so both will have to be placed by a sim who buys the lot for the thirty seconds or so it takes to place them. The community center lot as designed in 2010. The bright blue carpet on the second floor was originally a placeholder for a model train set, and it would have fit nicely, too. But one change I made in the intervening four years was to make that a spot for night classes or lectures instead, and I think that works better. Note how the basketball courts dropped right in to the spots that were waiting patiently for them. And a final shot of the neighborhood view with the lots updated. Doesn't it look grand? That's fabulous Esme! Really suits the area and so well planned! Looking great. I never plan that carefully, but I will be having a go with that train set. Thanks! When I was a little girl playing with my LEGOs, I could spend many happy hours planning and building a city. 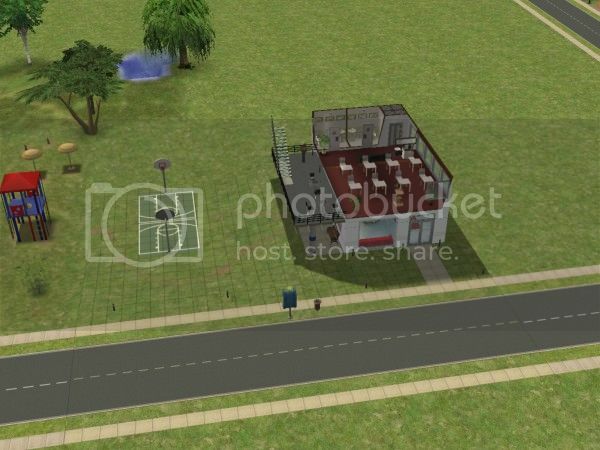 That's carried over into the Sims, apparently. I loved playing lego as well! Looks great Esme, and I agree with Lee, I never plan ahead so carefully, so kudos for that. Looks great, and as the others said, wonderful planning! and I still love playing with Lego, think I like it more than my kids! !